The beauty of owning a solar electric systems is that you are no longer 100% dependent upon the utility to provide your home or business with ongoing power: A new “supply” arrives each and every day. Southern View Energy can take you one step further. 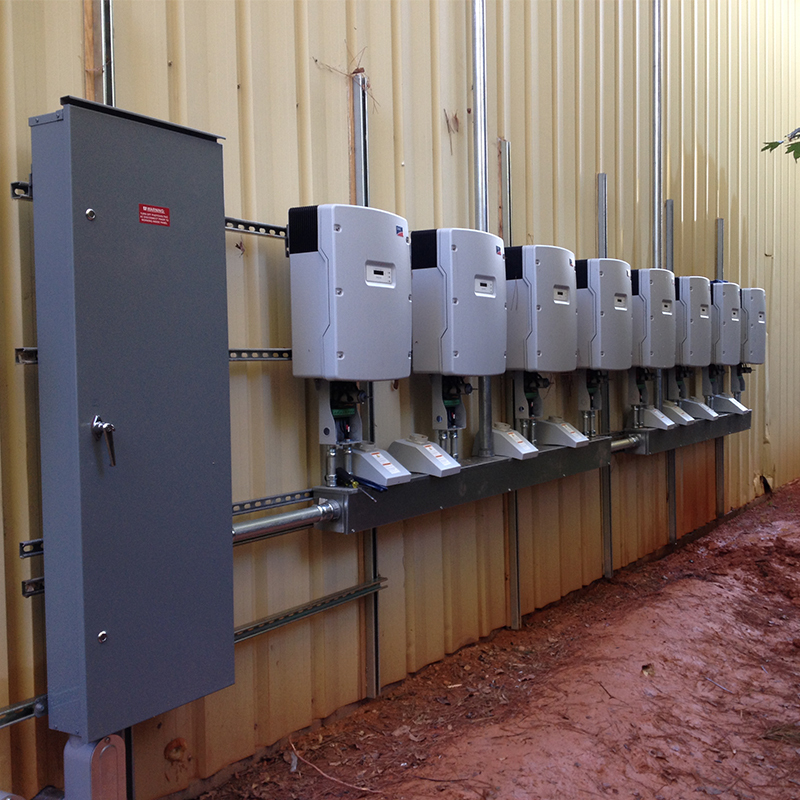 With your solar electric system installation, we can provide you with ample overnight power as well. All it requires is the proper sizing of both the solar array and a battery storage bank. We will determine exactly what needs you may have during a power outage event, and provide real performance expectations for any sized system. It’s much more affordable than you may think! Don’t wait to find out how long you have to go without sufficient power during outages. For more solar powered backup system questions or inquiries, contact us today! If you have larger anticipated electricity needs during utility outages than a solar electric system might keep pace with, especially during longer-term utility outage events, we have the answer. Especially useful in tougher weather areas a “hybrid”, or dual system, is a combination solar electric-powered / battery backup, along with a conventional generator that is tied into the building’s emergency power circuits. It also allows you to reduce the size (and cost) of the conventionally-fueled generator. And you still have the added security of a true stand-alone (solar-powered) system providing a good measure of protection, should the gas system’s fuel source become compromised. Southern View Energy is an authorized Kohler installer and has solid experience designing and installing hybrid backup power systems. Contact us today and discover just how affordable it is to gain this level of power outage protection. Q: What is a battery backup power system? A: An emergency backup power system that is being run by batteries, versus that of a conventional, gas-fired generator. It is a clean, green alternative that is capable of powering both residential and commercial applications for extended periods of time. They typically install quicker and easier than a conventional generator — in approximately 1 day. Q: How long will a system power my home or business? A: We will work with you to size the appropriate system for your needs, and the 3 key design factors are: (1) How much power you will be using during an outage, (2) How large a battery bank is to be installed, and (3) How large a solar electric array is installed to power the system. Q: How long does it take to charge / recharge the system? A: The system will maintain a 100% level of capacity by trickle charging from the utility and/or your solar electric array. After a blackout, fully recharging your system is dependent on how large the solar electric array is and the weather but it is typically designed to take 6-12 hours of sunshine, or 1-2 days. It can be made to recharge faster, but this may require a considerably larger solar array and/or a supplemental (gas-fired) generator to accomplish. Q: How do I know what system I need? 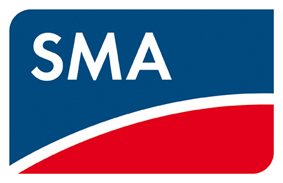 A: We are experts in emergency power and can help you size a system over the phone in most cases, or can come to your home for a full site inspection and quote. Q: What maintenance does a solar-powered, emergency backup system require? A: There are no moving parts and nothing to be adjusted or checked by the owner. While not required, we do recommend an annual system check that can be completed in an hour. 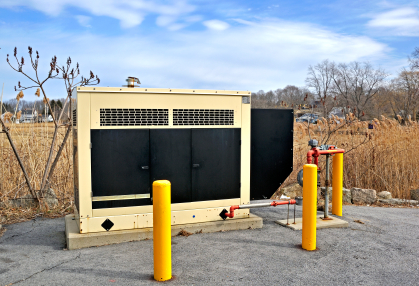 Q: Where does a backup power system get installed? A: Since it is emissions-free, it can be installed anywhere. 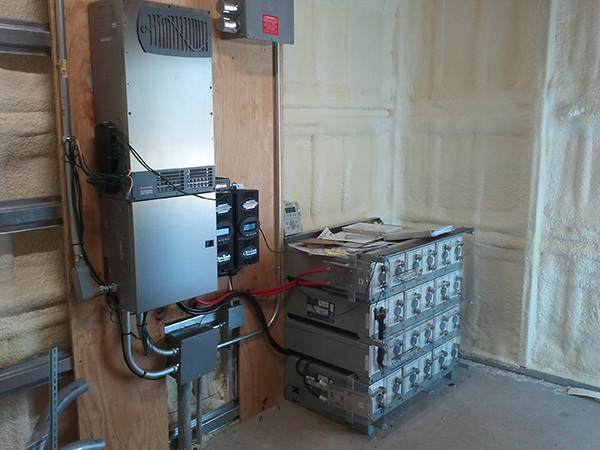 The batteries are placed in a storage area about the size of a large filing cabinet and the inverter is mounted on a nearby wall. This allows for convenient installation in a basement or garage. Typically we recommend placing the unit in the utility room near the electrical mains infrastructure of the property. The optimum location is one that’s dry, and temperatures remain between 40 and 75 degrees Fahrenheit. A: Approximately 1 full day is required for installation. 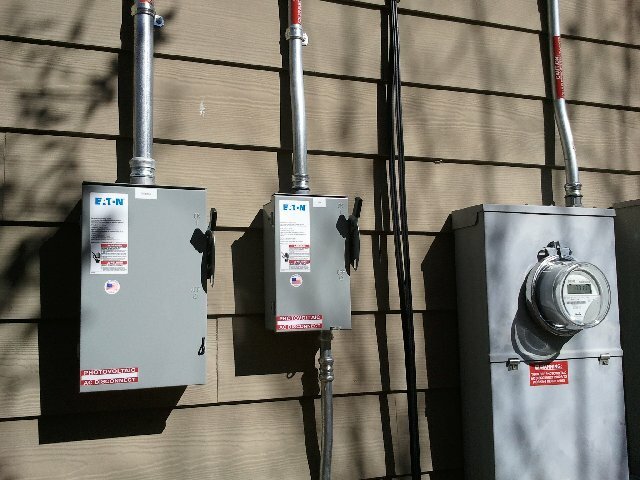 We will deliver and install the system and one of our own licensed electricians will connect it to your building. The coordination is minimal and we insure that everything is done correctly, safely and within a timely manner. Q: Can a solar-powered backup system also be integrated with gas-powered generators? A: Absolutely — these are referred to as “hybrid” systems, and only a few additional parts and design are needed. Some customers may already have a gas generator that they previously used, or wish to have the added assurance of back-up power being available regardless of the weather, when a solar system may not be able to fully recharge all of their “draw-down” in a short time. We can design your system to accept power from a solar electric array (as well as wind turbine or even a hydro-turbine) and a gas-fired generator, to swiftly recharge the battery bank. The nicest thing about this hybrid type of system is that the gas-powered generator when used, doesn’t have to be constantly running: It simply runs long enough to recharge the battery bank, then shuts off. No constant noise, far less fuel and fumes, and the solar system can often then take over with recharging.